This title explores the moral dilemmas posed by disparities in health across nations. Part 1 A Right to Equal Health? 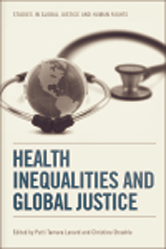 Part 2 Who is Responsible for Remedying Global Health Inequality?